Whew, chile! 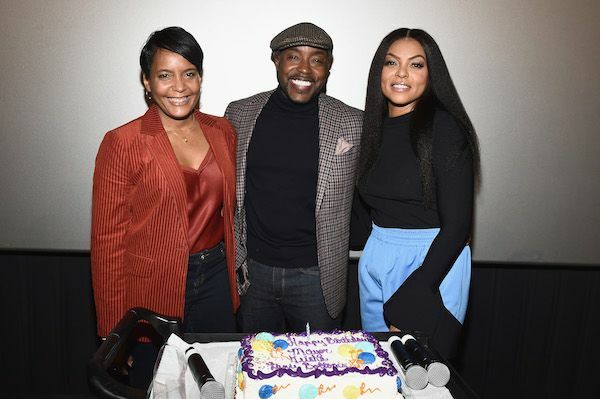 Taraji P. Henson stirred up some controversy when she posted this! The "Empire" star took to her IG Stories to compare the #MuteRKelly campaign to backlash against Harvey Weinstein, who has also been accused of sexual assault by multiple women, and folks let her HAVE it. Peep the clip above. It’s important to note, the #TimesUp campaign, that she partook in, was largely amplified after and during the Weinstein fallout despite it being started long before. So was #MeToo. 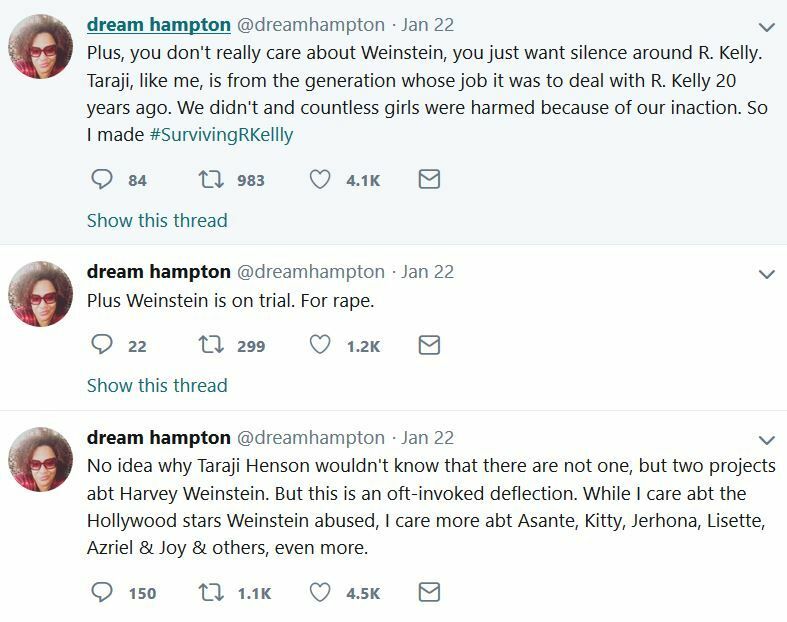 While outcry about Weinstein may not happen in a #MuteWeinstein hashtag, outcry indeed was and is quite heavy via the #TimesUp #MeToo hashtags. Also, Weinstein isn't an artist/singer, so you can't really "mute" him in the same way you would Kelly. Don't get it twisted, he's canceled as well. Taraji's What Men Want co-star Erykah Badu has been catching heat over R. Kelly as well. Fans were on her neck over comments she made about R. Kelly and the victims during her concert in Chicago recently. In case you missed, get the tea HERE. 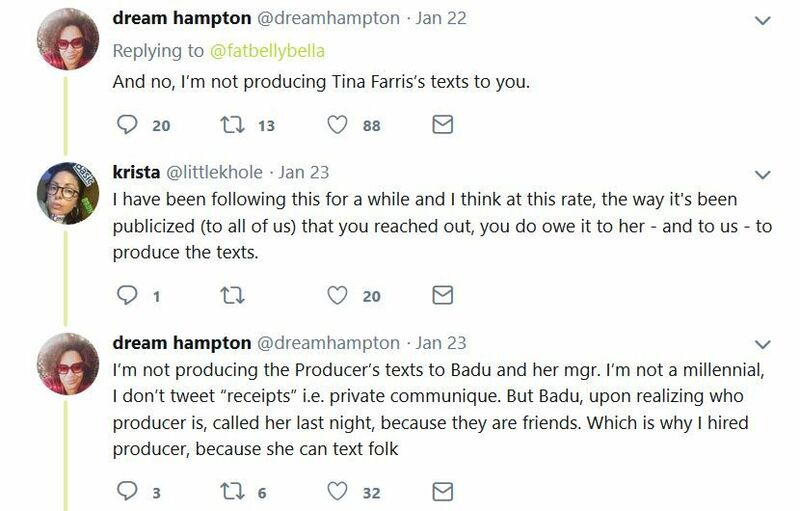 "Surviving R. Kelly" executive producer Dream Hampton has been active on Twitter since the premiere of the docu-series and she revealed she reached out to Badu to appear in the series, however, she said Badu declined. 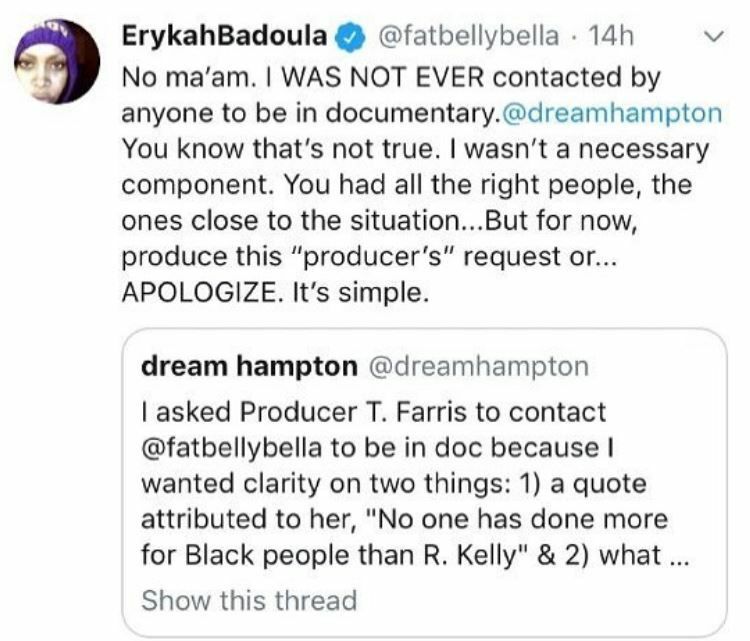 The "Bag Lady" singer hopped on Twitter to address Dream directly and told her NO ONE ever reached out to her about being in the docu-series. 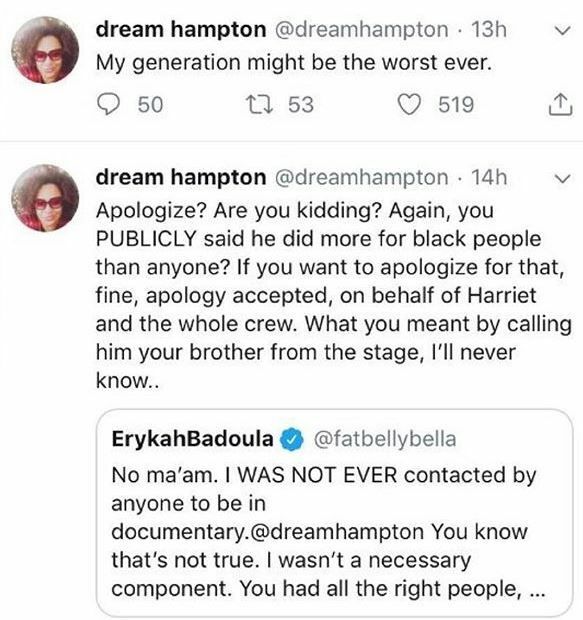 She also encouraged Dream to pull the receipts that show she tried to get her on the docu-series and if she doesn't have any, she should apologize. 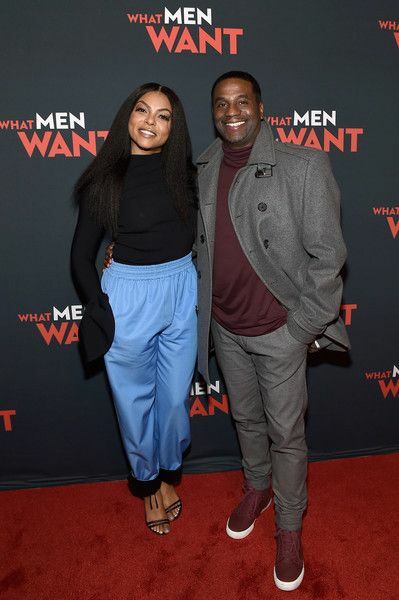 Taraji P. Henson has been making her press rounds for her upcoming comedy, What Men Want. The Oscar nominated actress plays a sports agent in a male-dominated industry where she has to fight her way up the ladder to prove she's better the boys. She gains an unexpected edge over them when she develops the ability to hear men's thoughts after drinking a tea that was given to her by a psychic (played by Erykah Badu). THANK YOU ATL FOR THE LOVE!!! 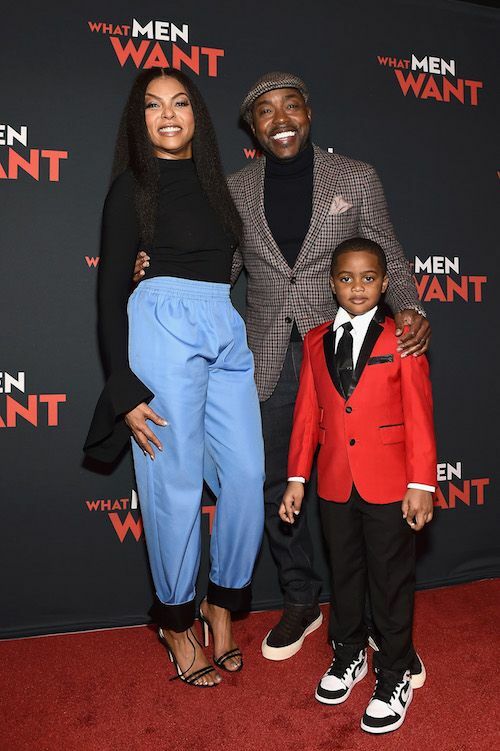 Get your tickets NOW for @whatmenwant #whatmenwantmovie IN THEATERS EVERYWHERE FEB 8!!! Be sure to check out What Men Want when it hits theaters Feb. 8th.